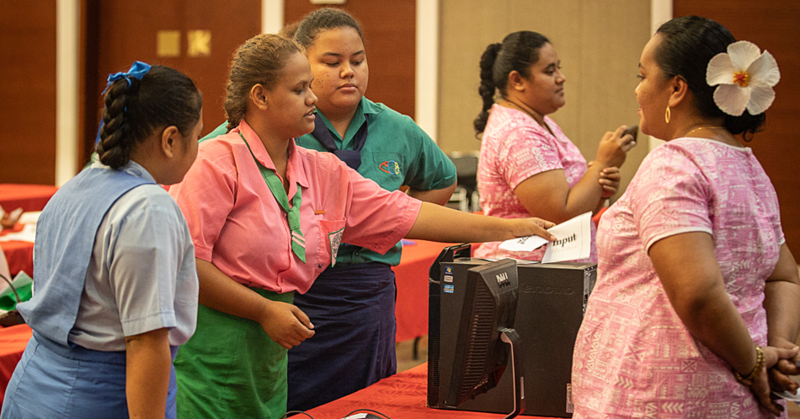 Samoa has been very active in advocating for ending violence against women, girls and children in the recent years. Building on this vision throughout 2017, the UNiTE Campaign has marked all Orange Days (the 25th of every month) under the overarching theme “Leave No One Behind: End Violence against Women and Girls” to underscore its commitment towards reaching the most vulnerable. The recognition of the 25th of every month as “Orange Day” came through the United Nations Secretary-General’s Campaign UNiTE to End Violence Against Women, to raise awareness and take action to end violence against women and girls. 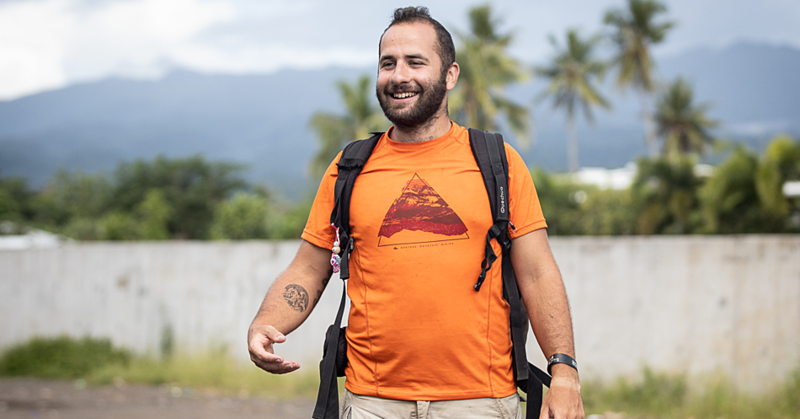 As a bright and optimistic colour, orange represents a future free from violence against women and girls. Orange Day calls upon civil society, governments, and UN partners to mobilize people and highlight issues relevant to preventing and ending violence against women and girls, not only once a year on the International Day for the Elimination of Violence against Women (25 November), but for every month. Globally, 1 in 3 women experience some form of violence in their life time. In the Pacific, that number increases to 2 out of 3 women. Violence against women or gender-based violence is understood as a violation of human rights and a form of discrimination against women, which include all acts of gender-based violence that result in, or are likely to result in, physical, sexual, psychological or economic harm or suffering to women, including threats of such acts, coercion or arbitrary deprivation of liberty, whether occurring in public or in private life. The theme for the 2017 16 Days of Activism campaign is “Together we can end G.B.V. in education.” The goal is to continue to build awareness of and advocate for an end to all forms of gender-based violence through education. This theme ran throughout Samoa’s launch event for this year’s campaign - a fun run to E.V.A.W.G. (End Violence Against Women and Girls) in Lalomanu. The location of the launch was chosen because the district is known for its resilience after the tragedy of the 2009 tsunami. The fun run to E.V.A.W.G. was hosted in the village of Lalomanu in collaboration with the Ministry of Women, Community and Social Development (M.W.C.S.D. ), the Australian Government, UN Women and the Samoan Association of Sports and National Olympic Committee (S.A.S.N.O.C.). The speakers of the day included the Associate Minister for M.W.C.S.D., Tofa Li'o Foleni Li'o, the Australian High Commissioner, Sue Langford and Samoan Olympic medallist Ele Opeloge and Lalomanu’s Congregational Christian Church of Samoa Reverend Gafa. Each speaker spoke about the importance of community support in the mission to end violence against women, the importance of young girls being active in sports, and raised awareness for some of the current challenges faced in Samoa around gender-based violence. 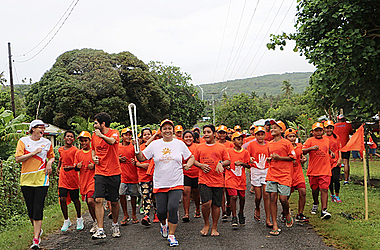 The launch of the 16 Days of Activism coincided with Queen’s Baton Relay visit to Samoa en route to the Commonwealth Games hosted in the Gold Coast, Australia in 2018. The baton bearers from Lalomanu led the run along the beach and through the village. The remainder of the day included activities such as sports, arts and crafts, and a “I Commit to Endings Violence” poster for everyone to sign. 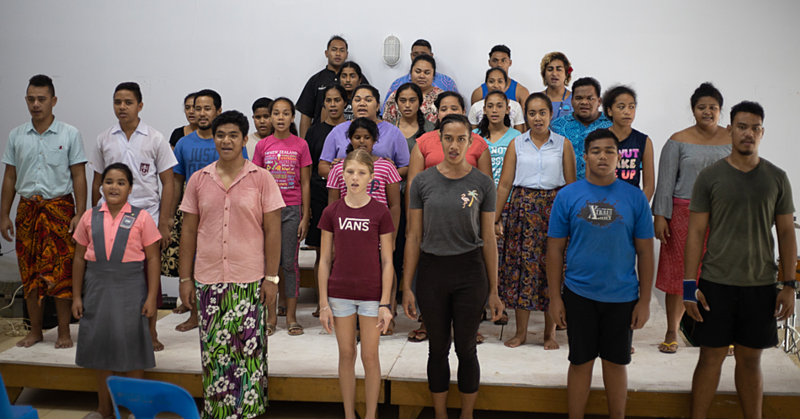 Organizations such as National Rugby League (NRL), Samoa Rugby Union (SRU), Just Play, Lee Zumba, and Samoa in Sports were present to teach the children about active lifestyles and healthy living through their respective sports. It was a wonderful show of commitment with the entire community dressed in orange “Say No to Violence!” tshirts and caps. 16 Days of Activism ends on December 10, Human Rights Day. This day celebrates the adoption in 1948 of the Universal Declaration of Human Rights (UDHR) which provides the foundation for many of the legally-binding internationals human rights treaties and instruments. Ending gender-based violence is not an individual task. Communities, governments and organisations must all work together to achieve zero tolerance for violence of any form, everywhere.